Public institutions in New York serve 6.6 million meals a year, feeding people in places including schools, hospitals, government agencies and prisons. Collectively, these institutions spend over $957 million of dollars a year on food. 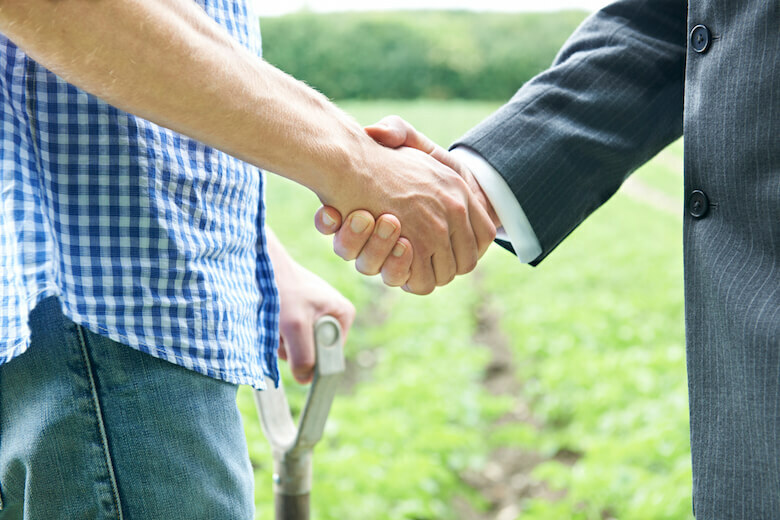 Directing a greater percentage of their budget to local farmers, processors and distributors could improve public health and farmer livelihood while creating jobs and economic growth, suggests a new report from the American Farmland Trust, New York Academy of Medicine, Farm to Institution New York State and Designing A Strong and Healthy New York. “These are public dollars that are being spent and they should be spent in ways that best advances the public’s interest,” David Haight, New York State director of the American Farmland Trust, wrote in an email. 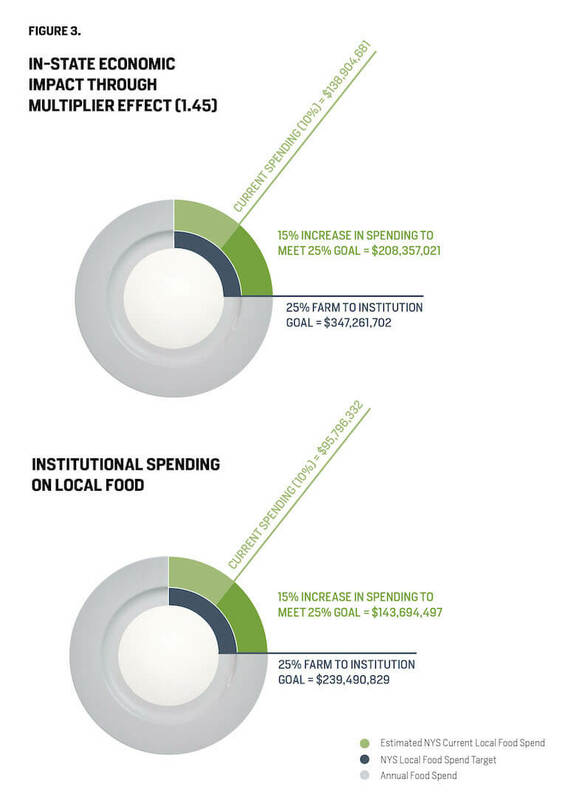 The report entitled “Public Plate: Growing Health, Farms and Jobs with Local Food” uses dinner plate–inspired graphics to show how institutions currently spend as well as projected growth. 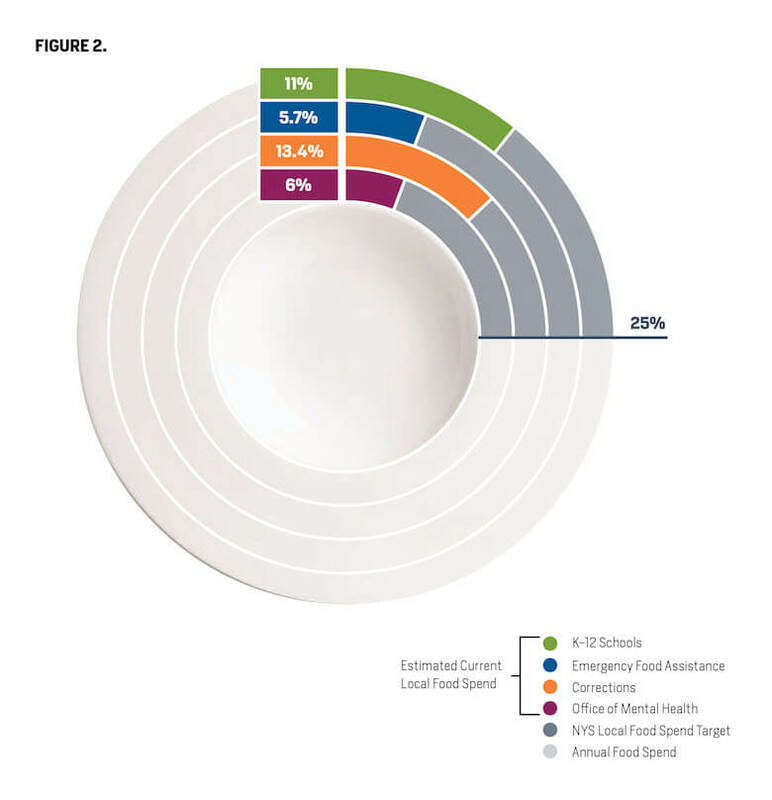 By representing the report findings as a plate, the authors hoped to emphasize the relationship between distant institutions and the familiar, everyday act of eating a meal. 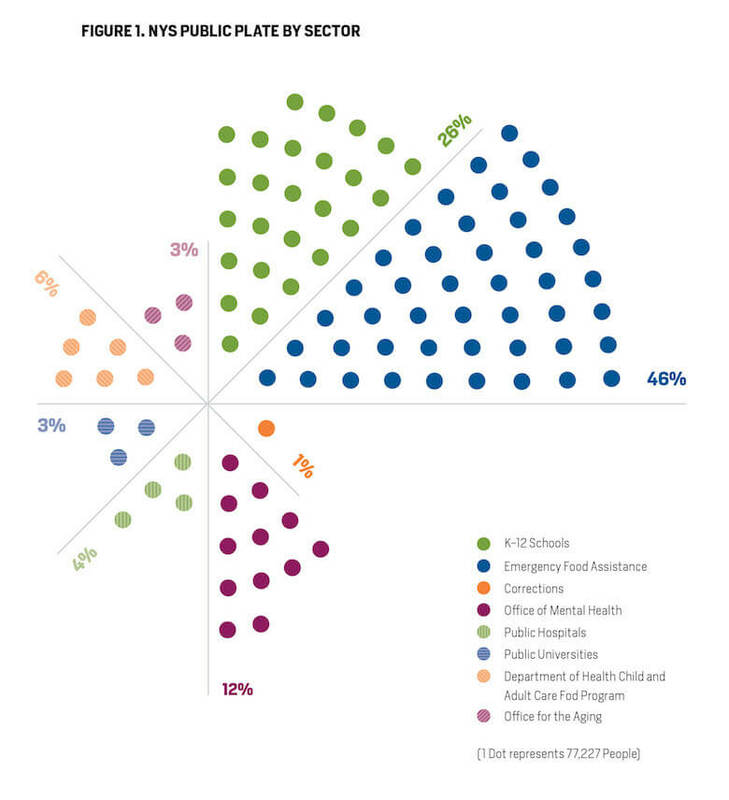 The report sets a target of increasing the state’s total local food procurement to 25 percent (about $239 million dollars annually), and gathering the initial data pointed to several gaps in the public procurement system: public universities, public hospitals and the Department of Health Child and Adult Care Food Program simply don’t report data on local spending (see Figure 2 above). The source of the food hasn’t always been the most important factor to consider for institutional buyers who may be more focused on whether the product is fresh or frozen, pre-peeled or pre-sliced, and so on. Finding exactly where a product or ingredient comes from isn’t always that easy, either. The supply chain may start with the farmer, but there are oftentimes several middlemen before the product gets to the institutional kitchen. Finding the actual source of the food can require several phone calls—and sometimes distributors and processors aren’t fully transparent about what a produce contains and where it comes from. Getting to the goal of 25 percent local procurement will require input and action from institutions, farmers, educators, legislator and citizens. Creating incentives for institutions to purchase locally—like reimbursement rates—has potential to encourage local procurement, as does consumer demand. 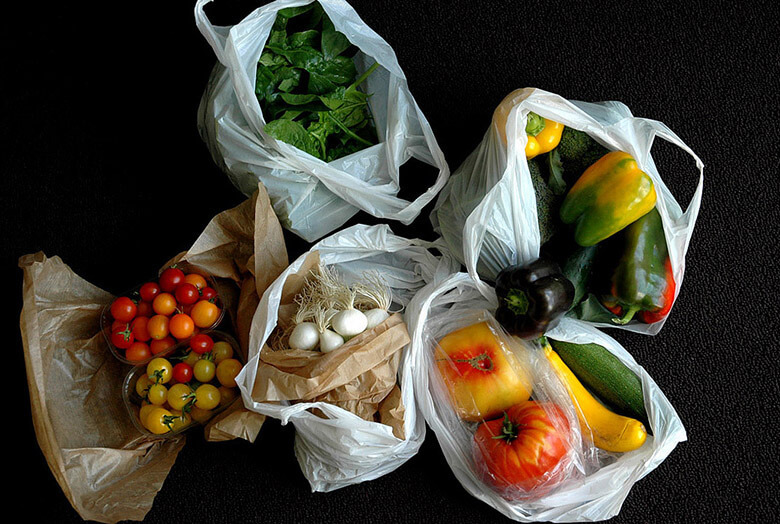 The New York Food Metrics Bill, the report suggests, stands to be revised to differentiate between locally grown and raised goods and locally manufactured goods that may use ingredients from elsewhere. Current supply chains connecting farms and institutions could also be improved and expanded. Institutions regularly purchase hundreds of items from dozens of suppliers, and tracing each item’s origin is a time-consuming process. Distributors, the report authors suggested, could be held more accountable: If their contracts included stipulations like regular reporting on food and farm sources, that would ease the burden on institutions and create a more transparent food system. 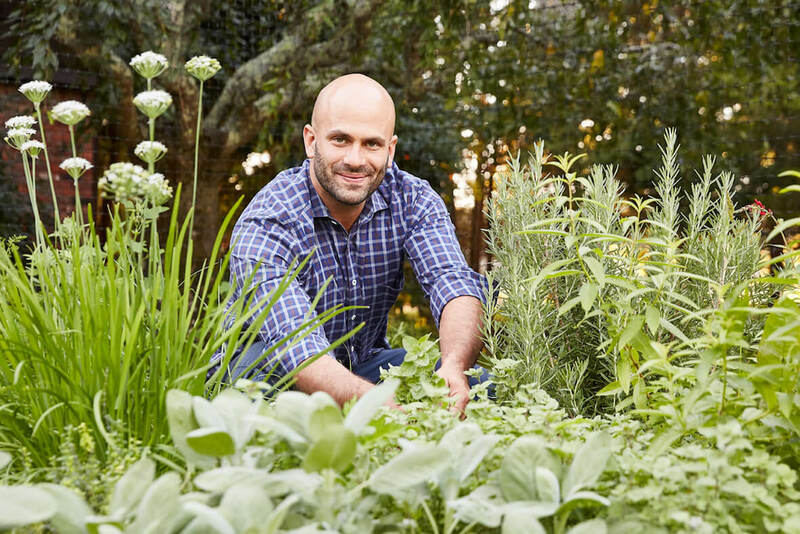 Lastly, consumers also play a vital role across institutions as advocates for food sourced to foster sustainability and public health. You can read more of the report’s findings and recommendations here.